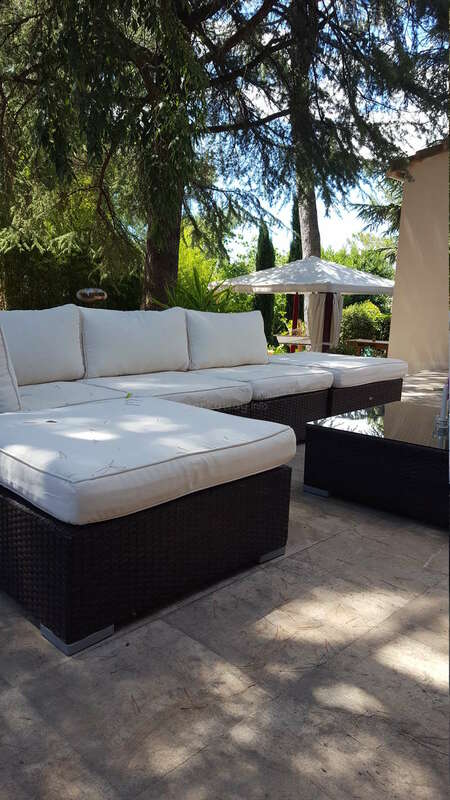 Welcome to help us with our garden and general maintenance of our house in Nîmes, Southern France! Welcome as a volunteer in our family ! 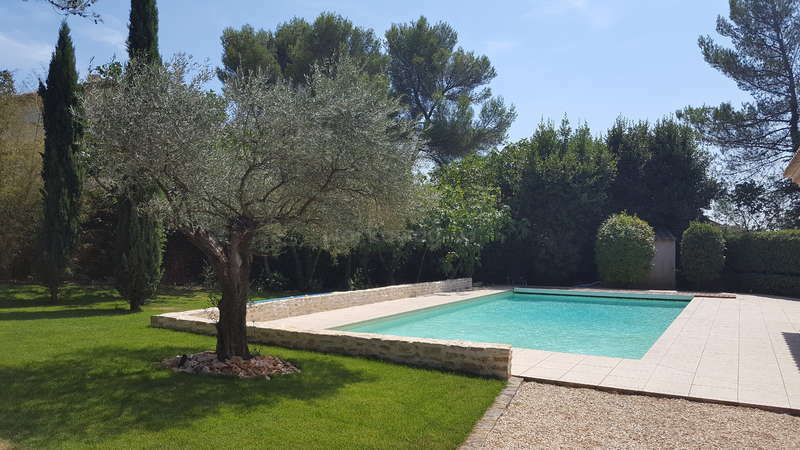 We need help with general maintenance and gardening in a nice house with swimming pool located in Nimes, close to many cultural and natural spots. I am a paediatrician working in Nîmes, Nice and Sweden. I am specialized in child neurology and have a private practice in Nîmes. I am also head of medical development of an internet medicine company and I have to travel a lot (Nice, Sweden, different countries in Europe and cities in France). Sometimes I work from home.. My husband is a musician (organist) working in Sweden, thus traveling a lot between the countries, but most often at home. He works a lot from home when he is in France and is the one doing most in the garden. As we work a lot, and have a horse and 3 dogs to take care of, we need help with our big garden (3000 m2) and house. 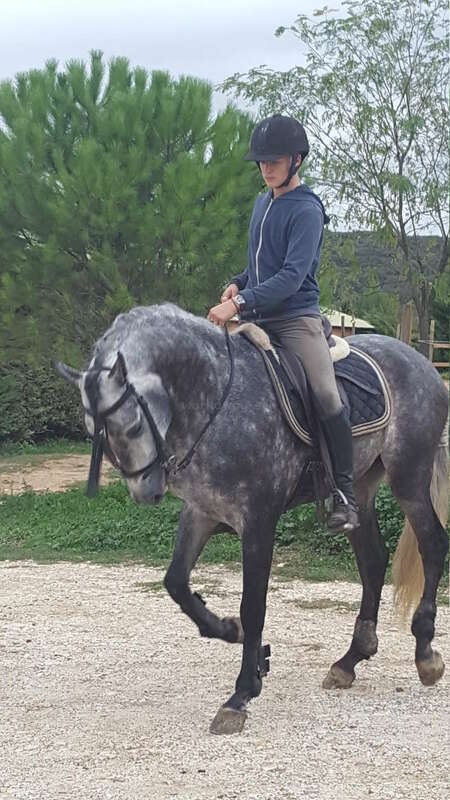 We own a horse, as our youngest son, Wilhelm (18) rides almost everyday and is on a riding teacher formation. 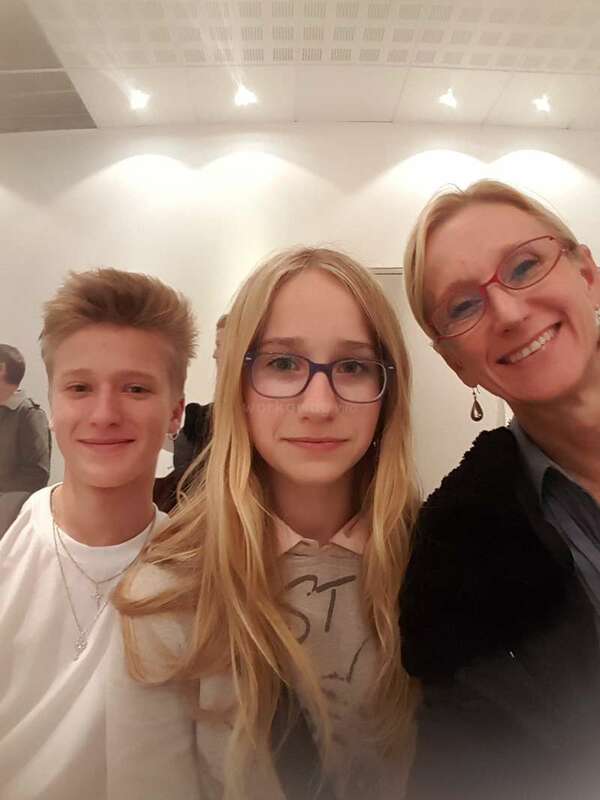 Our 3 children live in our home: Alix (14), Wilhelm (18) and Maxance (24). Alix is a good singer, she plays theater and dances street dance. 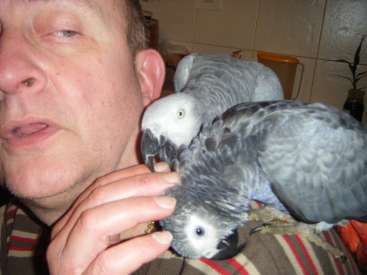 Maxance is at home after having spent years in Sweden and starting a new french life. We speak 3 languages (French, Swedish and English). Dear volunteer ! 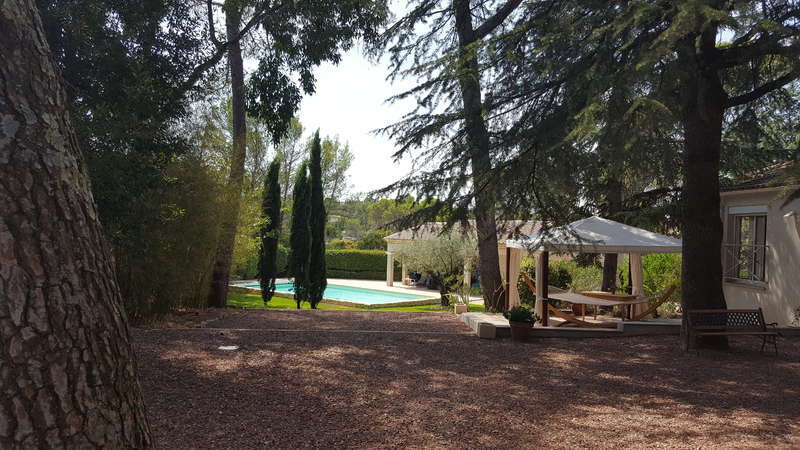 We are a French-Swedish family living in a nice house located 15 min by walk from the center part of Nimes in Languedoc-Roussillon (Occitanie), Southern France. We would like to share our french and swedish cultures with you and learn from your culture, while getting some help from you refreshing some parts of the house (painting, arranging what needs to be arranged, cutting hedges, general seasonal gardening, planting shrubs, repairing broken parts of the house, building a compost, giving us ideas...etc !). 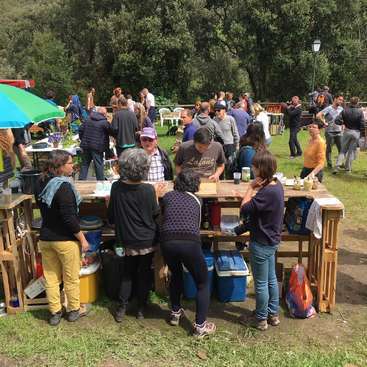 In july we will arrange a big international party for our friends and we would need help before and during the party for preparing the garden and the party, for those interested in that kind of arrangements. You will have acces to your own bedroom with bathroom in a separate little house in the garden, just by the swimming pool. We will share the rest of the house with you, in which you will be welcome and in which the internet access is easier. 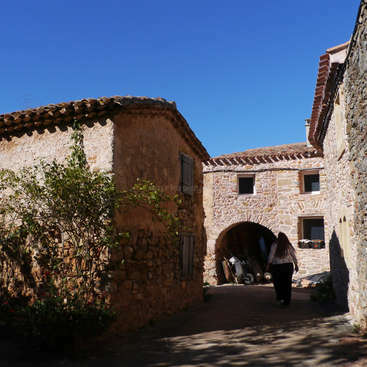 We live in one of the most beautiful parts of France, with perfect climate, good food, easy going people, cultural spots spread around, nature (Camargues, Cévennes), 3,5 hours from Spain and Italy by car, 3 hours from Paris by train, 3 hours from mountain areas, 30 minutes from the mediteranean sea, 40 min from Pont du Gard, 20 minutes by walk to the best preserved arenas of the roman empire...etc. Many festivals can be found all around the year. We love our region and would be delighted to help you discover it ! We had the great pleasure to spend a week with Heidi from Canada who helped us a lot to make our garden as beautiful as the pictures she took of the region ! Heidi is a very nice person who can see beauty in small insignificant things. She was always discrete and respectful and we appreciated her presence and company a lot. We were fascinated by… read more her beautiful pictures and art work she showed us, that made us discover another very intersteing world. We hope to see each other again very soon ! I feel extremely fortunate to have spent time with Murielle, Hans, and their family in Nîmes. They were very kind and generous, and I enjoyed learning more about their fascinating lives and a beautiful region of France. I worked in their garden, mostly weeding and pruning, which could be strenuous but always manageable and they were conscious of… read more keeping the hours fair and making sure I always had everything I needed. The accommodation was very comfortable, the food was delicious, and the 3 dogs were adorable and well-behaved. I am so grateful for this excellent Workaway experience! It was great fun working in the garden in the sunny south of france. Hans and Murielle opened up their home for us and the three weeks flew by just like that. Nimes is great for exploring the region (Hans and Murielle always helped us out if we needed a ride or some infos). Also, the dinners and long conversations are something that we will always… read more cherish and remember. This family will open up their home and heart for you and I hope that many other travellers after us will get the chance to enjoy their hospitality as much as we did. We had the pleasure to receive Stefan and Arjola in our family during 3 weeks in september. Stefan and Arjola are two very nice persons, always polite and willing to help and hardworking. They transformed our garden to a small paradise thanks to their golden fingers and meticulous work. In the evenings, we could sit around a meal and discuss… read more interesting topics. We learned to know some aspects of the german school organisation as Stefan and Arjola are school teachers and it was always a pleasure to share our three cultures (swedish, french and german). WE hope to meet again very soon. All the best Stefan and Arjola and thanks again for your stay among us ! Diana and Martins stayed in our family during july and completely integrated our family in a way one can seldom experience. We can say that we now have two new family members, 3 if we count the dog they fetched in Spain during their stay. Diana and Martins are two young very mature persons, serious, profoundly honest, hardworking and intelligent.… read more We are convinced they will do very well in life and we can say that we were fortunate to meet them ! Diana is a very sensitive and nice person, always putting her heart in everything she produces. Martins is a caring and responsible man who took care of our home as his own home. Thank you a lot for that ! We could leave our home in your hands completely confident about it. You helped us really a lot ! Hope we can help you the same any time ! We miss you Diana and Martins ! We will keep in touch ! I had a nice stay at Murielle's house. She and her family are very open to people from different cultures. They are always polite, ready to help and at the same time respect the privacy of their workawayer. The work in the garden was pleasant and I was given the freedom to plan my working schedule. I had plenty of time to visit different places… read more in that beautiful area and to enjoy it. Thanks once again for your hospitality, Murielle. My only regret is I could not spend more time with you. I wish you good luck with your future projects. We received Aneta in our family for 10 days in the end of april 2018 and beginning of May. Aneta is a very discrete and nice person that we really appreciated a lot. She helped us a lot with our garden and was always nice and smiling. 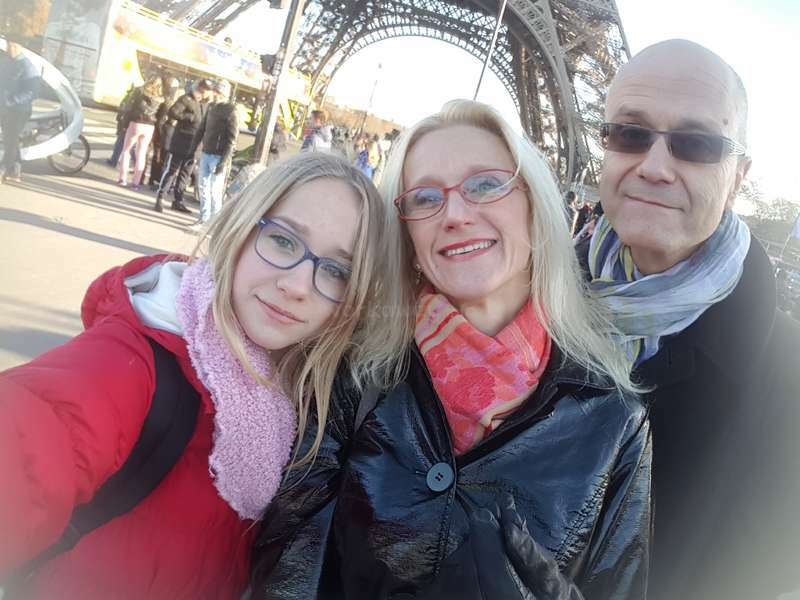 Aneta did not stay long and had to go back to her country, but she will be welcome back anytime if she wants to… read more spend more time in our beautiful city and region. We received Adrian and Luciana in our home for almost a month in february and were very happy with this experience ! They helped us a lot with technical reparations of broken machines and objects and with the garden when the weather allowed for it. 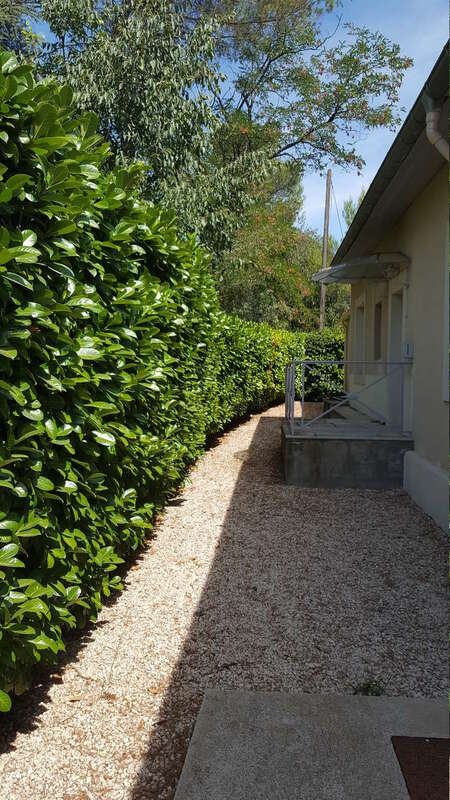 They cutted the hedge and cleaned the garden so we could enjoy a nice garden even during the winter!… read more Adrian and Luciana were always happy and nice and we appreciated a lot our discussions in the evening around the table. We feel we have got new friends in Argentina ! We warmly recommend this nice couple to other hosts. We received Eva in our home during 2 weeks. We really enjoyed her company and appreciated a lot her nice way and her help with whatever we needed help with. Eva is a really nice person whom we warmly recommend for other workaway places. THh only thing we regret is not being able to spend more time with her as Eva came during a period where we were… read more working a lot and not very much at home. But we are expecting Eva to visit us any other "calmer" time if she wishes! We had common interests, like horses and Eva could ride our horse once. WE really hope to see you again soon Eva ! All the best in your future plans ! I helped in the big garden and with cleaning in the house. The working times are really flexible so it's easy to plan trips in Nîmes or to surrounding villages and citys (which are easy reachable by bus or train). My two weeks passed very fast, because there was a lot to see and do. Sorry Julian for leaving this late feedback ! We received Julian for 3 weeks in december and were very satisfied with this young man who helped us with quite heavy gardening and who always kept a smile on his face, whatever happened ! Julian is a nice young man, interested in other people and other cultures, keen on learning and always willing to… read more help. 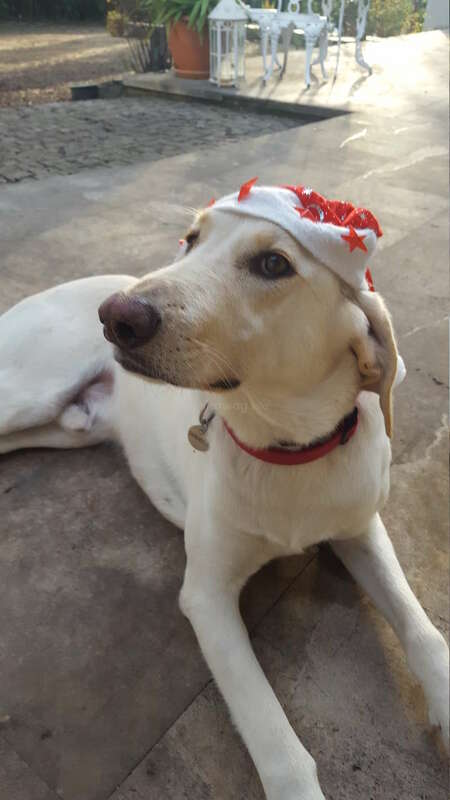 He participated in our Christmas preparations as well and in whatever we programmed as a family ! Thank you for your help and for your nice soul Julian !! I had a really nice time with Murielle, Hans, Wilhelm and Alix in Nimes, staying with the family for three weeks. I am glad that i was able to take part , on the one hand while helping in the garden( but also a bit in the house) and on the other hand though interesting converstions, going to church and spending time preparing christmas (baking… read more christmas cookies together or decorate the christmas tree). We had the chance to receive Chen Ta in our family for 10 days in the end of january. Chen Ta was a bit unfortunate as it was raining for a couple of days and Chen Ta could not really enjoy visiting the city, or even helping in the garden. But although, the chance was not on his side, Chen Ta always kept a smile on his face, always showed a good… read more will to help with any kind of work and never complained. We learned a lot about China and Taiwan and had interesting discussions about medicine, culture, history and became richer from that ! We warmly recommend CHen Ta for further workaway experiences ! I passed nearly two weeks in Murielle's family and had an excellent time with them! They were all warm and curious about my culture, so i had a lot to share! Although the time is short, it's not only the work in the garden that made this journey unforgettable, but also the time I spent with the two cute lovely dogs, ice and Iglu, the day trips… read more Hans recommended me and the events I share with the family members. We had the great pleasure to receive Boglarka (Bogi) in our home and family for a few days in januay and we really do not regret it! Bogi is a wonderful person, giving the best of herself in anything she does, and working really meticulously and with lots of care. She helped us with ironing (best ironing ever seen ! ), with cleaning some furniture,… read more treating wood furniture and cleaning our big living room, among other things. Everything was very well done as Bogi is a person putting her heart in what she produces.... She was so nice, and altruistic that it was a real pleasure to learn to know her and her culture. We already plan a trip to Budapest, not so much for Budapest in itself, although we want to visit the city, as to keep in touch ! We wish Bogi a very nice future and would warmly recommend her for further workaway experiences ! Thank you for what you brought to our family, Bogi, ad welcome back ! Staying with Murielle, Hans, Alix and Wilhem was an absolutely amazing experience!! This was my very first workaway trip and I feel like it was already worth registering on this site because I got to know this welcoming and lovely family. I only stayed for 8 days (totally 10 days in France) and it flew by so quickly, I wish I could've planned it a… read more bit longer initially. They have a beautiful house and a huge garden with a pool and I got to stay in the separate pool house with a bathroom, comfortable bed and a great view, it was stunning! I totally fell in love with their two dogs, Igloo and Ice, the best-behaved dogs in the world. :) The work was not hard at all and I even felt like I could've done so much more (in the garden for example), but there was just not enough time left. I did some ironing, cleaning and treated/cleaned some of the furniture. I was given so much freedom and independency in figuring out my working schedule and I was very thankful for that! I had the chance to discover Nimes, Avignon, Marseille, Nice and visited the Pont du Gard aqueduct. Murielle is an amazing, intelligent and hard-working woman, she is a true inspiration and has such a kind soul. I've also got the chance to have brilliant conversations with Hans, he is so well-informed whatever the subject may be (history, politics, religion) and I was so honoured he shared a lot of interesting stories and his knowledge with me. In addition, he's a great cook as well! :) Wilhelm and Alix are also incredible, both very talented, they speak many languages and were so friendly from the beginning, they truly made me feel at home because they were so relaxed and just fun to be around. I got to see Wilhelm practice on his horse Montijo in the riding hall, and a play in a local theatre Alix had a role in. Thank you again for letting me be a part of your everyday life, making me feel so comfortable, for all the amazing conversations next to breakfast or dinner and of course taking a chance on me as a first time workawayer! I really hope we see each other again and until then I wish you all the very best!! Thank you for an excellent 3 week-period spent in our family and helping us with the garden ! Evan is a very nice young man, always smiling and nice. We had the opportunity to learn about his culture which is canadian but also dutch, thus sharing, as we do, a double culture. Evan was also very curious about the french way of living and tryed his… read more best to visit as much of the region as possible on his free time. 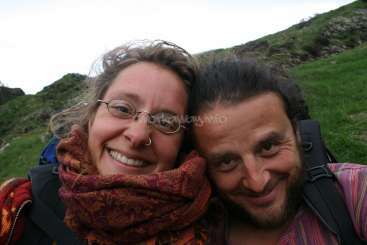 We had a very good experience and we warmly recommend Evan for future workaway experiences. We are so satisfied with our decision to come to Murielle, Hans, Wilhelm and Alix. 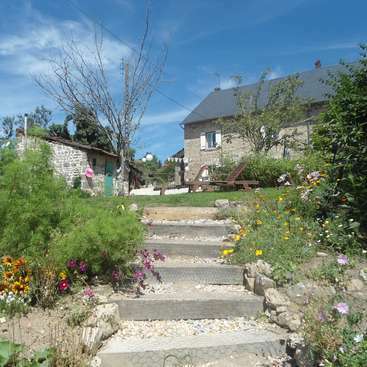 Our two-weeks-stay was just amazing and we had a really trustful feeling in the middle of this nice and friendly family while living in a cozy accommodation! We really liked the way, they integrated us into their family. Also we enjoyed the daily discussions while… read more earing dinner! The work was mainly in their beautiful garden, but also things like car-washing or ironing were part of our work. Because we had very free selectable working times, we had the possibility to do many different and exciting things in Nîmes and the region around it (both have a very nice atmosphere and are more than worth seeing) like visiting the arena or the Pont du Gard, making a trip to Camargue (the Bus is only 1€) or hiking. You can say we are in love with this area! In general it was a fantastic stay which was characterized by the interaction from perfect hostfamily and perfect fitting region! Thank you very much for your hospitality and everything you did for us, Murielle and Hans! We received Josephine one week in the end of september and were very happy to learn to know her. Josi is a very nice person, always happy and smiling and always happy to help. She helped us a lot in the garden and could work in complete autonomy, as we were working a lot and not at home during the days. 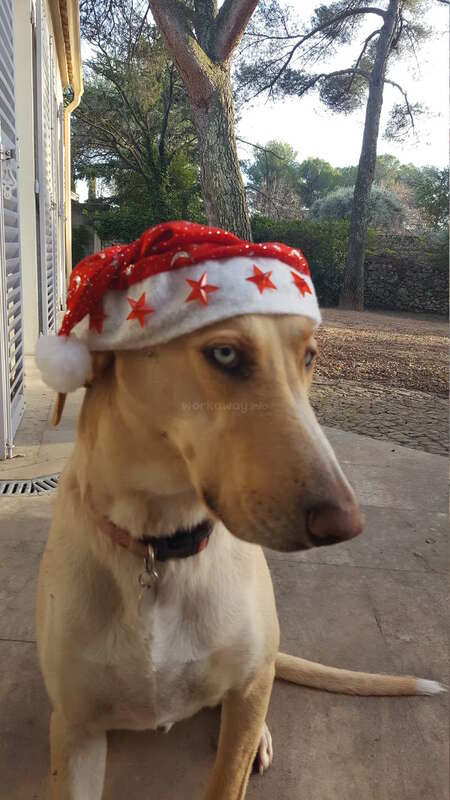 We felt bad, leaving Josi for herself during… read more the days but she never had any reproching words about it and we are sincerely grateful for that ! As a chance, we could meet Josi in the evenings around the diner and had very interesting discussions then. We got receipies for home-made soap and she gave us soaps and face cleansing cream that she had made herself ! We are thankful to have been chosen among so many places and to have got the chance to begin to know her. We hope that Josi will visit us again some time and that we will have the opportunity to keep in touch. Good luck Josi, in life and in your projects ! I really enjoyed my time there!! I think everyone of the family is a very interesting person with special interests and ideas! Unfortunately we couldn’t spend that much time together but the time we spend was great. I appreciated the chats in the evening. Also my work was nice to do because I like to be outside and help in the garden. It didn’t… read more feel like work just like helping out a little. In my free time I could discover the very interesting city Nîmes with all its beautiful old buildings. I was really impressed by the pond du gard! It was quite luxury to have my own little house with my own bathroom and the pool very near. I just had a wonderful time and I hope to meet them again soon. We received Olya during one week and were very satisfied and happy with her. Olya is a hard-working young woman, always ready to help with whatever is proposed and always smiling, extrovert and enthusiastic. She worked concentrated and meticulously. She integrated very quickly to our family and showed genuine interest in our culture and way of… read more living. We had interesting discussions and got a glimt in Olyas culture as well. Olya is a nice workawayer, whom we warmly recommand. Staying with Murielle, Hans, Alix and Wilhelm was a wonderful experience!!! We had an amazing time and we enjoyed not only the work to do, but also our activities together! We did many different things, like clearing up the garden, painting gates and windows, cutting the grass... Hans was all the time helping us whenever we needed, which was… read more great! Also we went running and mountain biking with him and his friends!!! It was simply amazing, we learnt a lot about the local way of living and had a lot of fun - we're absolutely thankful! Dinners were always in the garden all together, delicious and healthy... Murielle and Hans are really gifted and smart, and it was a real pleasure talking with them! Eco-auto-construction and natural gardening on a permaculture inspired place in the French Pyrenees.